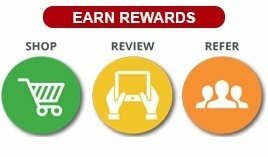 Earn 183 points upon purchasing this product. 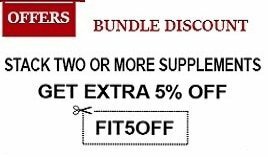 Use 5399 points to purchase this product! All body builders, athletes and fitness enthusiasts need protein, which they can get from a proper supplement. Just working out is not enough to get a heavy, toned body. You need to add nutrients to your diet to meet all your bodybuilding needs. The Ronnie Coleman Pro Antium Cookies provide you high-quality protein at the most concentrated level. You get the amount of protein that your body needs to get proper strength for hitting the gym hard and giving a performance that you never expected of you. The Ronnie Coleman Pro Antium Cookies are made of a multifaceted protein blend that intends to provide complete recovery after heavy workout sessions. After workouts, your body loses all the proteins and your muscles tend to break down. So you need some protein supplement to add energy to your muscles and enable them to perform well. In this Pro Antium supplement, the proteins are added in a precise combination of fat, and medium- and slow-digesting proteins, which provide instant recovery. The stream of protein remains long after you are done with your workout, which keeps you active all day. This supplement not only contains proteins, but also is provided with creatine and betaine, which enhance your strength and stamina, enabling you to give the highest possible performance in one go. Betaine also promotes the body’s capacity to break down proteins in the muscle cells, which helps the muscles to easily absorb protein, creatine, and amino acids, and leads to fast muscle recovery. It also helps the stomach to break down proteins easily so that the proteins you intake are easily digested without letting you feel bloated. So consuming these Ronnie Coleman Pro Antium Cookies helps you beat your limits and enhance your athletic performance. You can meet you desired goals while enjoying delicious, smooth, and strong protein supplement. 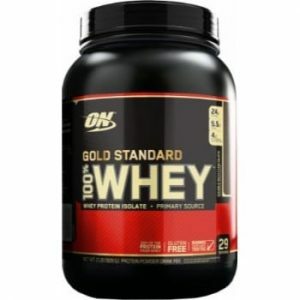 ON (Optimum Nutrition) Gold Standard 100% Whey, 2lbs.